A tiny finch weighing scarcely an ounce has jaws more powerful for its size than a mighty T-Rex dinosaur, research has revealed. At six inches long, the Galapagos large ground finch is about the size of a T-Rex tooth. But pound for pound, its bite is 320 times stronger than that of its eight-ton distant ancestor. Scientists analysed the bites of 434 living and dead species and the Galapagos finch had the strongest bite of all in relation to its body size. Its thick beak packs an impressive 16 lbs of force, which is uses to crack open nuts and crush seeds. ‘The proclaimed King of the Dinosaurs would be no match for a finch in a fight, if they were the same size,’ said study co-author Dr Chris Venditti of the University of Reading. 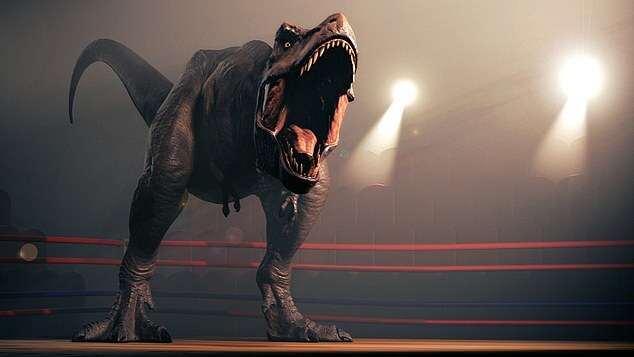 Lead researcher Dr Manabu Sakamoto, from the University of Reading, added: ‘The image of T-rex with its fierce jaws has helped it become the most iconic of dinosaurs, but our research shows its bite was relatively unremarkable. ‘Bite force was not what gave T-rex its evolutionary advantage, as was previously presumed. ‘Large predators like T-rex could generate enough bite force to kill its prey and crush bone just by being large, not because they had a disproportionately powerful bite. 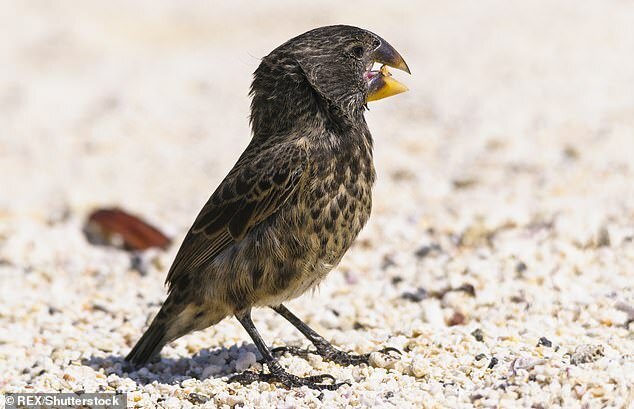 While studying wildlife on the Galápagos Islands in the 19th century, Charles Darwin noticed finches found across different islands were fundamentally similar, but showed variations in their size, beaks and claws. This led him to conclude that because of the distance between the islands, the finches must have evolved over time to the different environments they lived in and this ultimately inspired his 1858 theory of evolution by natural selection. Darwin’s finches only live in islands off the coast of mainland Ecuador. The finches began as one species and started evolving into separate species an estimated 3 million to 5 million years ago. Dr Sakamoto said: ‘An evolutionary trade-off with increasing brain size in humans may be the reason that our bite power is pretty pathetic. 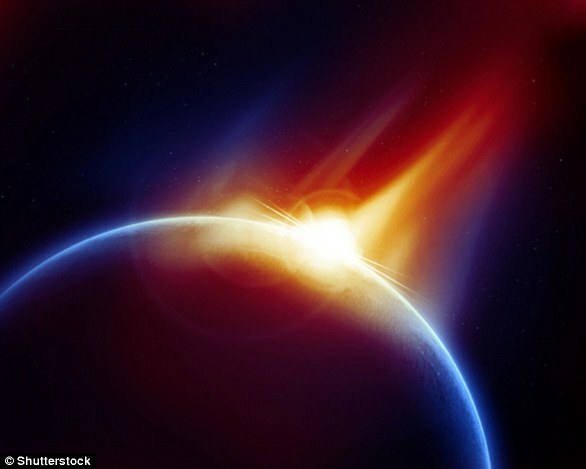 Co-author Dr Chris Venditti, also from the University of Reading, said: ‘Our research provides new insight into the latest theories about the speed and drivers of evolution. It also allows us to create some fascinating hypothetical match-ups. Around 65 million years ago non-avian dinosaurs were wiped out and more than half the world’s species were obliterated. But while the waves and eruptions were The creatures living at the time were not just suffering from the waves – the heat was much worse.